Whether you've been presenting baby storytimes for fifteen years or fifteen minutes, you probably already know that the first five years of life are key for brain development and early literacy. Many public libraries have instituted baby and toddler programs, but finding exciting materials for baby storytime that go beyond nursery rhymes can be a challenge. 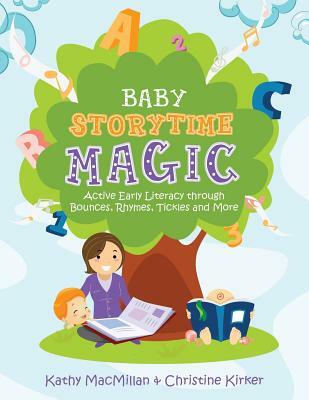 Baby Storytime Magic is a treasure trove of new and exciting ideas for programs, all of which revolve around themes from a baby's world. Inside this resource you'll find * Fingerplays, bounces, flannelboards, activities with props, songs, American Sign Language activities, and more, with items arranged by type of material *Tips for planning storytimes, with advice on logistical issues such as age grouping, scheduling, formats, and physical setup *Guidance on involving caregivers in baby storytimes, including suggested scripts for explaining the benefits of each activity and how to use it at home * Age-appropriate book recommendations *Information on early childhood development, plus an appendix of recommended additional resources.